Their Synthis T3 All-in-One SCARA robot was recognized by a panel of esteemed experts from system integrator and end-user companies. -Ts Emerging Technology Center showcases connected equipment, data management. -Solutions for immediate challenges, increasing efficiency in the future abound in exhibit halls. -Hundreds of conference sessions offer content for engineers, owners, managers, directors and operations personnel. 04/10/18, 08:31 AM | Industrial Robotics, Factory Automation | Electromate Inc. The Sankyo Automation RollerDrive® Reducer is a precision gear reducer that uses a zero backlash roller gear mechanism. The unit is constructed from an input shaft and a turret (output shaft) that is assembled with roller followers. The roller followers are preloaded against a screw-like input shaft to eliminate backlash. 04/10/18, 05:25 AM | Industrial Robotics, Factory Automation | IDS Imaging Development Systems Inc.
Universal Logic® has been delivering artificial intelligence (AI) based robotic solutions for four years in manufacturing, wholesale, retail, and agriculture. Neocortex®, Universals real-time modular AI platform for machine control, is at the heart of these installations that handle up to 90,000 SKUs at a rate between 600 and 1600 items per hour. 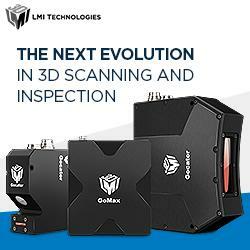 Universal is exhibiting order fulfillment piece picking and manufacturing machine tending using the new 5.0 version of Neocortex integrated with their Partners products at MODEX in Atlanta, Georgia, April 9 - 12.